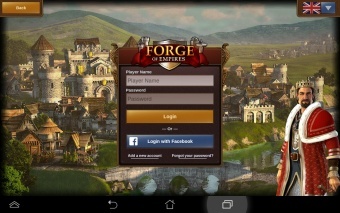 If you are a new player you can choose to play the game with or without registering an account. If you choose to not registering an account it will automatically generate a guest account for you. In order to save the progress of your game however, you will still have to register your account at a later point in time. This will be triggered as a special part of the tutorial. The corresponding quest will ask you to choose a name and a portrait and register your account. 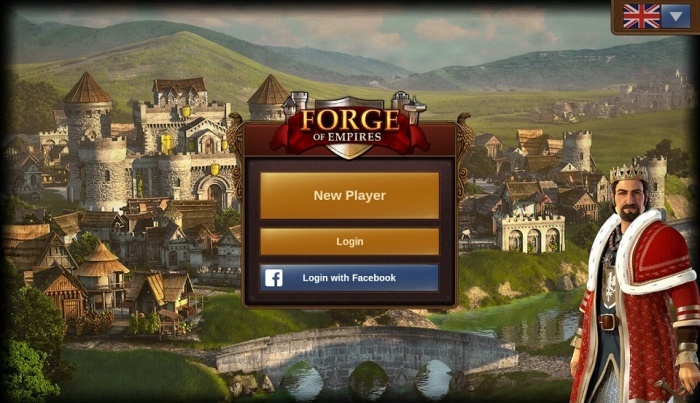 If you have played the browser version before, you can use the login to access the game with your existing account or with your facebook account. But you can also register a new account using the registration screen of the app. Please remember that you can only have one active player account per world. 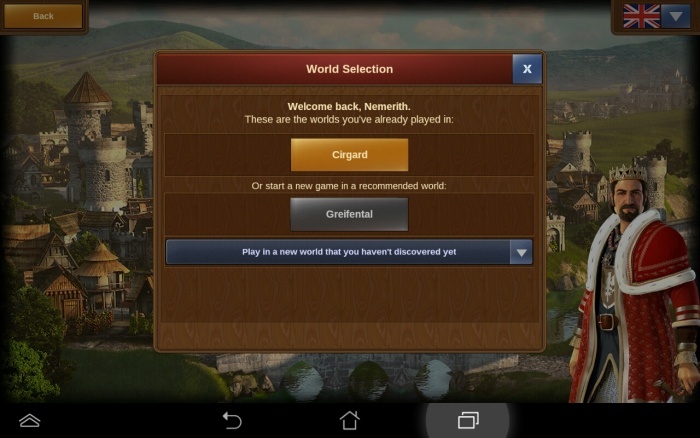 Once you logged in, you need to select the world on which to play. If you want to see more about the App, you can click here!